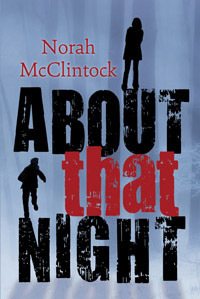 Biography: Norah McClintock won the Crime Writers of Canada's Arthur Ellis Award for crime fiction for young people five times. She wrote more than sixty YA novels, including contributions to Seven (the series), the Seven Sequels and the Secrets series. Two disappearances in one night. Someone knows the truth. This time, real justice will be done.